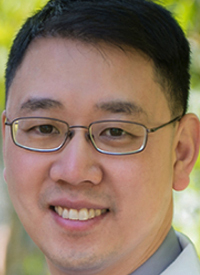 In the early-stage setting for pancreatic cancer, the use of neoadjuvant chemotherapy may result in better disease control and higher rates of R0 resection, explained Vincent Chung, MD, whereas in the metastatic setting, the focus has shifted to sequencing chemotherapy regimens, thereby optimizing tolerability and time on therapy. In an interview during the OncLive® State of the Science Summit™ on Gastrointestinal Malignancies, Chung, an associate clinical professor in the Department of Medical Oncology and Therapeutics Research, and director of the Phase I Program at City of Hope, discussed the therapeutic landscape of early-stage and advanced pancreatic cancer. OncLive: What agents are improving survival for this patient population? Chung: Thierry Conroy, MD, of the Institut de Cancerologie de Lorraine, presented data from the PRODIGE 24/CCTG PA.6 trial at the 2018 ASCO Annual Meeting. This was a phase III trial that was done in France and Canada, in which patients were randomized to receive either FOLFIRINOX or gemcitabine following surgical resection. FOLFIRINOX is a tough regimen. In the stage IV setting, FOLFIRINOX had much higher response rates compared with gemcitabine; that was the rationale for taking it into the adjuvant setting. In the trial, patients who received FOLFIRINOX had a median overall survival (OS) of 54.4 months and 35 months with gemcitabine. Prior to this, there was the combination of gemcitabine and capecitabine, which was tested in the ASPECT-4 trial. Patients who received the combination had a median OS of about 28 months. Going from 28 months to 54.4 months is a really huge leap forward. What are some questions that still need to be answered in this setting? We still need to wait for the results of the APACT trial, which randomized patients to receive either gemcitabine and nab-paclitaxel (Abraxane) or gemcitabine alone. Hopefully, that trial will present within the next year. My feeling is that this will probably be a positive trial, although we probably won't see as long of survival as we see with FOLFIRINOX. We're probably going to be faced with a choice of 2 different regimens in the future in which we'll have to decide which patients will be able to tolerate the chemotherapy in the adjuvant setting.